Our imaginations are such an incredible gift, allowing us to daydream and envision incredible wonder. As children, we used our vivid imaginations to create fun and exciting playmates and spectacularly fantastical situations in which we would ‘live’ for hours on end. Imagination was fun, funny and adventurous. As adults, our imaginations often become a work-thing of worry. We fret tirelessly over horrible situations our imagination dreams up, things that could happen, might happen, but most likely won’t happen. These worries drain us of our productivity, create undue stress, affect our sleep and our relationships. 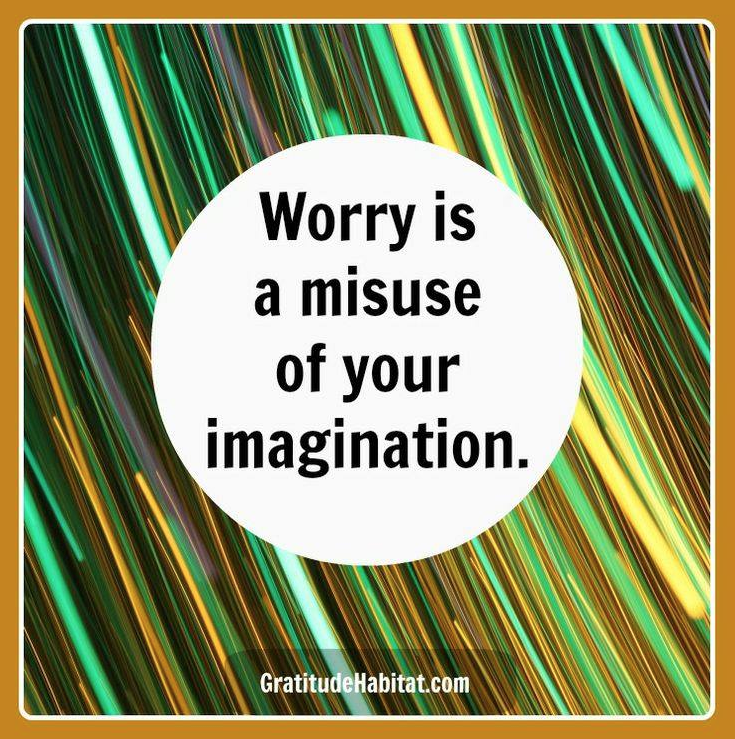 Worry is a complete and utter misuse of our gift of imagination. Most of what we spend time worrying about never comes to fruition. And if it does, we generally have spent hours stewing over a much worse outcome. Instead, use your imagination to create and dream of wonderful things. An exotic vacation. A unique and expressive way to tell your partner or children how much you love them. What it would feel like to be able to fly. And if you find a need to worry, take time to put it in perspective. Write down the best and worst outcomes and how you would address each. Then set that worry aside, knowing you’ve prepared. May your day be filled with imagination, gratitude and good things!